Are you trying to be eco-friendly and quit using those old plastic straws? Have you been wanting to try the re-usable glass straws everyone is talking about? Here is your chance to win a gift gift card from Glass Dharma so you can. Enter the giveaway below. A BIG Thank You to ALL Other Blogs Participating! Glass Dharma Glass Straws are sustainable, reuseable, durable, easy to clean, suitable for hot and cold drinks and dishwasher safe! Glass Dharma is creating a lot of excitement from those who are concerned about their health and our environment. Using glass provides one solution to plastics leaching into our foods and ultimately ending up in our landfills and oceans. 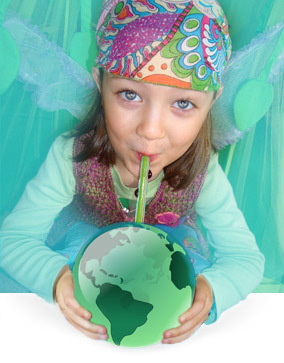 Glass Dharma customers also appreciate that the straws are hand made in the USA! They also offer 100% satisfaction gaurantee as well as a Lifetime Gaurantee Against Breakage, which makes their straws risk free for me and you! Check Out Glass Dharma Here for yourself! This giveaway will end at 12:00 AM (EST) 11/06/2014. Deliciously Savvy did not receive any form of compensation for this giveaway. Once winner is selected via the Rafflecopter process, the product will be shipped. Winner has 48 hours to respond or another winner will be chosen. No other blog associated with this giveaway is responsible for the product shipment. Glass Dharma has provided the prize to the winner. Thank You for stopping by! I like the straws because they are reuseable and not wasteful.